This is a phrase that I’ve come to despise lately, because all notions of fairness and equality have either been severely distorted or thrown out by the federal government. Disenfranchised….. The word takes us back to that shameful time in American history when blacks, having been freed from the bonds of slavery, were denied so many fundamental civil rights. But those days are over. Equality rings loud and clear, in rights and opportunities, and secured by force of law. Today’s Democratic party offers free stuff, that other people pay for. But it offers no real hope and certainly offers no solutions, except to remain uneducated and uninspired and pregnant so the checks and free services continue. There’s no vision, and therefore, there’s can be no hope. The rhetoric is based on hate, mistrust, anger, and victimization. The party message is that the poor and minorities are oppressed because they are victims. The whole system is against them. In order to push their programs of dependency, the message is that most Americans are racist and selfish. And so, because of the history this one word summons, modern civil rights-conscious America is doomed to hear it each and every election cycle from now until we say that enough is enough. There is a lot of talk of “disenfranchisement” of minority voters by Voter ID laws, which is another ridiculous attempt to cast common-sense, color-blind legislation in terms of race. The way Eric Holder and civil rights leaders carry on, you would think there was a legitimate argument. But there isn’t. There is no credible evidence to suggest that blacks are being denied the right to vote. It’s another race-based attempt to deflect the very real instances of voter fraud (benefiting Democrats) away from the Democratic party and onto good law-abiding Americans who demand integrity in the voting and election process. Americans who are standing up for an end to years of voter fraud are called racists. Racism is the Black Panthers standing at polling locations intimidating white voters with batons. We all remember Election Day 2008 in Philadelphia where members of the Black Panthers stood menacingly in front of a polling place, dressed in military-style uniforms and carrying night sticks, and hurled horrible racial slurs at whites. Racism is the US Justice Department refusing to prosecute the case, claiming there was no solid evidence that there were any violations of the Voter Rights Act, even though several videos surfaced clearly showing the intimidation and the racial slurs. The Democrats won’t tolerate a reasonable law requiring people to show a valid ID because it might prevent blacks from voting but it will tolerate blacks beating up whites to physically prevent them from voting. “Disenfranchise” means to deny a person a right; usually a right of citizenship. So let’s talk about who the real “disenfranchised” Americans are. They are hard-working American taxpayers – the most abused and forgotten group of people in this country. Two years ago (2009), it was reported that 43.4% of Americans paid zero or negative federal income taxes. The number of single or jointly-filing “taxpayers” who paid no taxes or received government handouts reached 65.6 million, out of a total of 151 million. 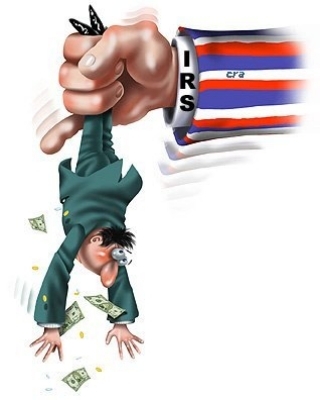 In 2010, 45% of Americans paid no income tax. And this year (for tax year 2011), less than half will be paying income tax. That is quite a shift in just two years. However, it appears that the statistics reported are not quite accurate. According to the government Joint Committee on Taxation, 51% – that is, a majority of American households – paid no income tax in 2009. None at all. As if that isn’t alarming enough, 30% of those households actually made money from the tax system. They did this by way of refundable tax credits, such as the Earned Income Tax Credit, among others. These statistics come from a document produced by the Joint Committee on Taxation, a respected bipartisan committee of Congress. The JCT found that for tax year 2009, roughly 22% of “tax units” (not exactly “households”) ended up without any tax liability. Another 30% not only didn’t pay anything, but they got money back from the government, through mechanisms such as the Earned Income Tax Credit, a policy enacted in 1975 that encourages low-income Americans to work by refunding money through the tax code. People who receive these checks often have no income tax liability. This tax credit was established, in part, to offset the burden of social security taxes and to provide an incentive to work. A greater tax credit is given to those who also have qualifying children. By contrast, the JCT found that only 49% of Americans owed tax revenue to the government. How is this possible? It’s possible when the federal government uses the federal income tax program not only to generate income for the government but also as a means of wealth distribution. These tax credits are an income transfer – a federal check – from taxpayers to non-taxpayers. This is another form of welfare. Or, to use a term coined in George McGovern’s 1972 campaign – it is a ‘Demogrant.’ The government is using the labor of some people to benefit other people. Hmmm.. That sounds like a form of slavery to me. It allows people to have property by taking property from another. (Property, as we know, is transformable, from intellectual to monetary, to personal to real property). It allows people to have children at other people’s expense. In fact, the Earned Income Tax Credit encourages such people to have more children to get a larger check. There aren’t too many “old-school” Americans whose parents taught them that this is a proper way to raise a family. Most taught their children to get a good job so they can make enough money to raise a family. Those were the days when American values and morality mattered. We all know that too many parents today teach their children a completely different lesson – to have children in order to get as much money from the government as possible. Unfortunately, a sperm donor is all that is required for that… not a husband and father. These type of citizens not only place a burden on those who pay taxes, but perhaps more importantly, they have a vote in government without any “skin in the game.” They have no stake in the federal government other than what they can get out of it. The United States is close to a tipping point. The dynamics in this country are changing. Our moral code, “Thou Shalt Love Thy Neighbor,” is being replaced by a secular code, “Thou Shalt Steal From Thy Neighbor.” We’re almost at the point, if we’re not already there, where most people don’t have to worry about running out to the post office on April 15th because they’re expecting one from the government instead. Oh such a happy day for these people. That is, if they have no conscience and no pride. I’m a scientist by training and I’ve come to conclude that a particular biological association explains the association between persons living according to democratic ideology and those living according to Republican, conservative ideology. It’s called ‘Parasitism.’ It is a living arrangement where one species benefits while the other is harmed. There are far too many Americans who condemn conservatives yet sit back, collect checks, contribute nothing, and reap the benefits that conservative individuals provide. Conservatives are the ones who work hard and pay their disproportionate share of taxes for all the programs and services while over 50% of Americans are excused from paying income tax yet receive the benefits that the others pay for. Conservatives believe in family values and raise their children properly, with an emphasis on education and responsibility. They provide the stability in schools and society that others rely on. They also provide most of the charity that benefit those in need. While taxpayers look for the day their obligation to the federal government will be relieved, Obama shows no sign of curbing entitlements or addressing meaningful reform. In fact, spending continues to increase. Entitlements makes up about 40% of the budget and is comprised of Medicare, Medicaid and Social Security and spending on such programs is projected to grow to nearly $3.5 trillion by 2021, up from $2.1 trillion which is what is provided in this year’s budget. That comes out to an increase of 67% over the next 8 years. Again I ask, who are the real Americans being disenfranchised? There are no laws to protect these ‘disenfranchised’ Americans. There are no civil rights laws for them to seek redress. They used to have the Declaration of Independence, which guaranteed the equal rights to “Life, Liberty, and Property,” and they used to have the US Constitution, which required that all direct taxes must be apportioned equally. Citizens are supposed to have the right to keep the reasonable rewards of their labor and the fruits of their intellect and enterprise. It was a fundamental premise upon which our independence was anchored. It is unreasonable to expect citizens to work at least one third of the year just to pay taxes to a federal government that is lawfully only vested with the power to do a limited number of things on behalf of the people of the country. Nowhere in the Constitution does it grant the government the power to legislate charity and require one group of people benefit another group of people. When the group of ‘disenfranchised’ Americans use perhaps the only rights left – to speak and petition, under the First Amendment – they are attacked by the poor as being greedy and “not paying their fair share.” Even more offensively, they are attacked by the very representatives that have sworn oaths to protect the rights of citizens equally and to protect our republic. [Reminds me of a story I read my children – “Animal Colony”]. A government that fears its citizens and ‘serves’ its citizens would never treat them so shabbily. But we no longer have that type of government. Ours is government more concerned about social justice (social re-engineering) than individual rights. Ours is a government that is intent on transforming this country rather than restoring her. You ‘transform’ something that no longer appeals to you. Forget their right to vote to assert their rights to keep their property. That’s been long rendered useless by the rising entitlement society. I suppose the only thing left for those who want to keep their money and assets and don’t want to pay taxes is to work in the Obama administration. Matt Robbins of American Thinker may have said it best when he wrote: “Eighty million ordinary citizens take the one extraordinarily conventional step every single day that makes the U.S. economic engine actually run. They go to work. Monday through Friday, and even sometimes on Saturdays. They’ve been labeled the Silent Majority by Nixon (and ‘masses leading lives of quiet desperation’ before him by Henry David Thoreau), the middle class, the consumer class, the bourgeoisie. And yet their unfailing habit of playing by the rules, putting in overtime to put food on the table and pay their taxes has created the financial wonder of the modern world: the American economy. Claims of voter disenfranchisement are specious claims. They are baseless, meaningless. There is no merit to them. But again, the mere mention of “disenfranchisement” conjures up memories of the old Jim Crow era and then preys on racial sentiments. The real disenfranchised American is the one who doesn’t have a significant say in how the government spends his or her money. In this case, a real, tangible liberty interest is at stake… property rights. Our founders understood that property rights were just as important as the rights to life and liberty, because one without the other two render the right almost meaningless. We also must take into consideration that the rich pay a disproportionate amount of taxation, probably in violation of the Constitution’s guarantee that all men are “endowed with certain inalienable rights” (which include the right to life, liberty, the pursuit of happiness, which is synonymous with property and the fruits of one’s labor and intellect) and the government is supposed to protect those rights equally. A fair system would have everyone contributing. And every American would have to live according to his or her means. Every American receives the same benefits and protections from the government so everyone should contribute. In fact, those who contribute less or nothing receive the most services. If we look at something like a flat tax, it ends up being graduated in the end after all, doesn’t it ? 10% of a poor person’s wages is a relatively small amount, while 10% of a wealthy person’s wages is certainly a lot greater. We have to remember a simple fact: People with access to other people’s money have no sense of its worth. Tell a person who has never worked a day in his life that he has access to Bill Gates’ account. What do you think he will do? He will spend like crazy and for everything he wants or thinks he should have. Why? Because first, he looks at someone like Bill Gates and assumes that he already has enough money and certainly more than one person should need. Second, he might have a chip on his shoulder and harbor resentment that while he doesn’t have much, it’s not fair that Bill Gates should have so much more. As I mentioned earlier, the dynamics in this country are changing and more and more people are being relieved of paying income tax, thereby shifting the responsibility for paying for the running of government and its functions to less than half the people. At the same time, money is also being redistributed, ever so subtly through various government programs, from those same taxpayers. The burden on American taxpayers is indeed harsh and repressive. As the dynamics continue to shift and less and less people shoulder the burden of financing the government (what will their “fair share” be then? ), more “dependent” people will be voting for the fruits of other people’s labor. Their increasing vote will negate the voices of the very people upon whom the government has become oppressive. Again I ask, who are the real Americans who are disenfranchised? [This article will be followed up by another article offering a plausible solution]. Lori Martin, “Your Take: Elephant in the Room?,” Wallace Watch Blog, Feb. 14, 2011.